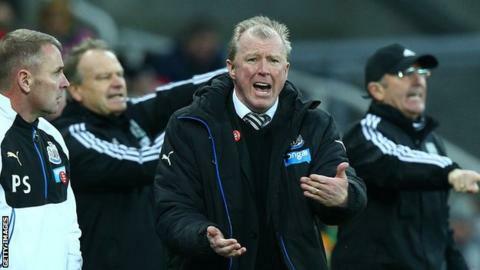 Manager Steve McClaren has described Newcastle as "the most frustrating side I've ever worked with". The Magpies are 18th in the Premier League, having won six games and lost 14 this season. McClaren said it was "one extreme to the other" as his side were "fantastic" in beating West Brom last month, seven days before losing 5-1 to Chelsea. McClaren, 54, has also managed Middlesbrough, FC Twente, Wolfsburg, Nottingham Forest, Derby and England. Many of those spells have been marked by unpredictability. Last season, Derby topped the Championship in February after eight wins in 11 games, only to finish eighth after winning just two of their last 13 matches. Under McClaren, England failed to qualify for Euro 2008 after losing to Russia and twice to Croatia. Newcastle visit Stoke on Wednesday (19:45 GMT).